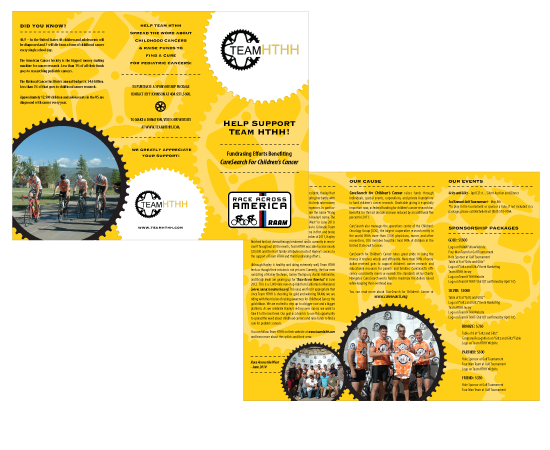 client needs: The cycling team, Team HTHH, needed a brochure that clearly displayed information of upcoming events and a clear call to action to raise money for the benefit of CureSearch for Children’s Cancer. solution: A cycling inspired brochure with event information, a strong call to action and facts about the incredible work the non-profit organization performs. You can receive posts just like this straight to your inbox every week. Our information will help you improve your online presence and grow your business! Sign Up For Graphic & Web Tips!